Owls are baffling birds. Owls are most active at dusk and dawn and spend daytime at their unnoticeable roosting place. They are gifted with large forward-facing eyes and ear holes. 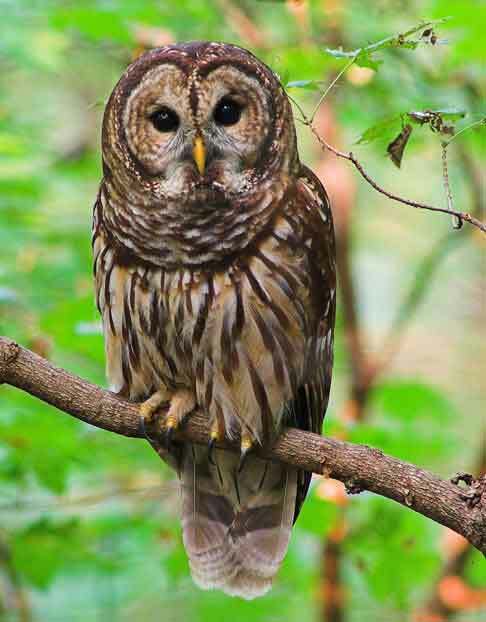 There are more than 200 species of owls living on every continent except Antarctica. Distinct from most of the birds virtually make no noise when they fly. They are even known as silent predators. This uniqueness of owl bird is owned to their specialized feathers. There are edges to the owl’s wing which are covered with feathers in a small structure which help to break the flowing air into smaller, micro-turbulences. Altogether these specified feathers help owls to remain undetected when they fly. Owls are generally active during the night. They are blessed with the high auditory system. Unlike humans and other bird owls range of audible sounds is much more acute at certain frequencies. This enables this unique creature to hear the slightest movement of the prey underground or in leaves. They have profound or enhanced facial disc which in turn acts like a radar dish. Due to acute hearing capacity owls can sense the prey from the underground. That is how they eat lots of rodents. In a four-month breeding cycle, a single barn owl family eat more than 3000 rodents. Vineyards attract a lot of rodents. So in order to protect vineyards farmers prefer to build a nest for owls. In this way, owls act as natural pest control to farmers. This is an environment-friendly pest control method. 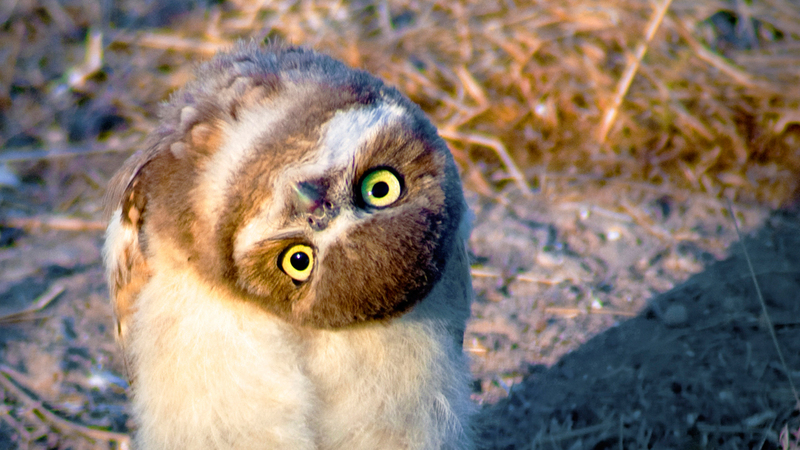 It’s a mistaken belief that owls can rotate their heads 360 degrees. Instead, they can manage to rotate their head up to 270 degrees without causing any physical damage. Around their neck, they have 14 vertebrae unlike usual seven found in normal birds. This provides the range of movement to owls. Many scientists have discovered that owls have a special blood-pooling system. With incredible ferocity eagle owls is one of the largest winged hunters on the planet. They eat everything and stop at nothing. Eagle owls carry off young warthogs and adult vervet monkeys aren’t much of a challenge either. They even target fishes nearly equal to their size. Owls attack young wolf, small deer, and even foxes are attacked with regularity. It is frightful to get killed by an owl. They built their daytime roost away from their hunting territory. Owls are equipped with special adaptions that make them efficient predators. They wait for their prey to arrive and then they swoop down with open wings. They attack their prey by surprise. They directly swallow the prey. Then depending on the size they either eat the prey whole or rips it up. Small owls known as elf owls lives in cactus forests. Big owls who are more aggressive and are a slightly larger nest in saguaro and orange pipe cacti. Even huge horned owls nest in the crotch of such cactus. Certain types of owls don’t migrate. In early spring they start nesting in cacti like saguaro and organ pipe. The act of predation against same species is known as cannibalism. This comes as a shock that owls aren’t averse to eat owls of a different kind. Large sized owls eat smaller owls. 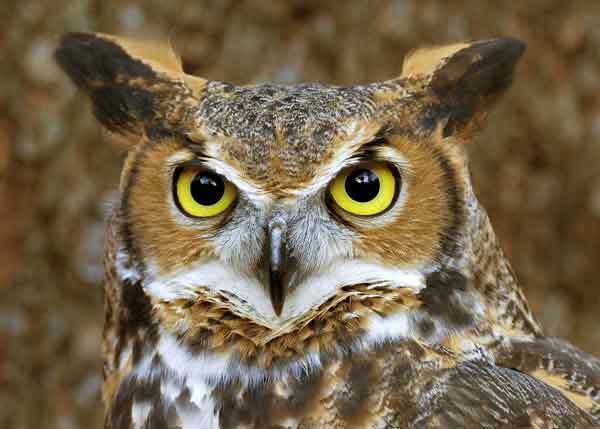 Like great horned owls are chief predation threat to smaller owls. 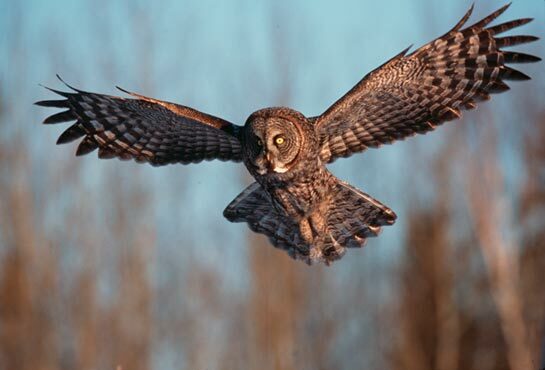 Owls are master of the night sky and they are extra adaptive to capture its prey. It is difficult to haunt owls as they have a great ability to camouflage. These cunning owls make it difficult to spot them in plain sight. To survive this amazing ability helps them to hide within their surroundings. The Greek goddess of wisdom Athena had a little owl as a companion. This is one sole reason to symbolize owls as a sign of learning and knowledge. As Athena was also considered as a worrier goddess that is how owls also represent a sign of victory. During a war, if a Greek army sees an owl fly they take it as a sign of coming victory. As we read above owl was a companion of a Greek goddess. This clearly signifies that humans and owl get along well. Owls have been popular since ancient times.